GRAFENWOEHR, Germany — USAG Bavaria launches its DOD-wide Military Saves campaign in February. Throughout the week of Feb. 27 to March 4, ACS’s Financial Readiness Program offers classes and other resources to encourage saving. 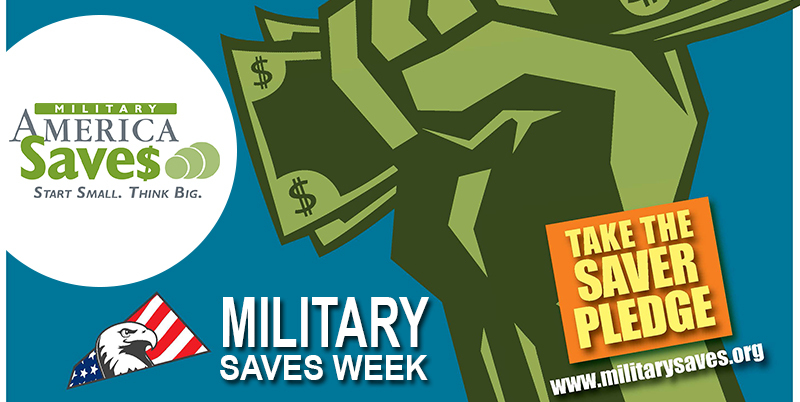 Publicly take the Military Saves Pledge during Military Saves Week and vow to improve your personal finances. Take action and join the community in solidifying a commitment to set financial goals and building wealth. Credit reports and credit scores play a vital role in a lot of life choices, from renting an apartment to applying for a home loan and buying your first car, your credit can either help you or cost you. With every pledge submitted, patrons will receive an email with instructions on how to get a free credit score. Take advantage of this resource to review your score and learn ways to improve it for the future. Special classes will be offered throughout Military Saves Week in both Grafenwoehr and Vilseck. Information tables will be set up at the Tower and Rose Barracks Main Exchange lobbies,as well as the Camp Aachen Express from Feb. 27 to March 4. For more information about the campaign, visit militarysaves.org. For additional questions, visit the Tower Barracks ACS at Bldg. 244 Rm. 108, or call DSN 475-8371, CIV 09641-83-8371. Community Bank and Service Credit Union branches in both Tower Barracks and Rose Barracks will have a staff and an information table in their main lobbies to provide information about financial readiness and answer general banking questions. ACS, Service Credit Union and Community Bank will share booths at AAFES locations to meet individually with community members and answer questions regarding debt reduction, savings and financial security. Certified financial planners will be present to address more specialized financial concerns. All are encouraged to make a pledge to save and start building wealth through this year. ACS, Service Credit Union and Community Bank will at DFAC locations to meet with community members and answer questions regarding debt reduction, savings and financial security.